Seth M. R. Jaipuria School, Faizabad, a dream of visionaries par excellence, Shri Ved Prakash Gupta and Shri Chandra Prakash Gupta, is situated in a picturesque environment amidst serene surroundings just off the Lucknow-Faizabad expressway. Based on a CBSE pattern, the school would offer a curriculum with a holistic approach extending beyond the classroom. The emphasis of the school shall always be on helping students identify their talents and develop it to the optimum. Seth M. R. Jaipuria School, Faizabad is best defined as a school aiming for the stars whilst having roots firmly positioned in the heritage of our great nation. Apart from ensuring a high degree of academic excellence, Seth M.R. Jaipuria School Faizabad believes in integral education consisting of a large number of activities, games and sports. The school’s pedagogy is based on empowerment of the students. The school epitomizes excellence in all quarters, with an admirable blend of academic, co-curricular and extra-curricular activities. Spread over three acres, the school is designed to impart learning to students through most modern state-of-the-art and innovative teaching methodologies. 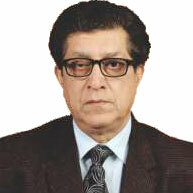 The coming of Jaipuria coming to Faizabad brings with it a legacy of seven decades of education excellence. Jaipuria has results and rankings consistently matching the crème-de-lacrème of the country, and is recognized as one of the best schools, both regionally and nationally. At Faizabad also, the student is at the heart of the teaching learning process. The school has been missioned to develop children on values of integrity, creativity, ethics and respect. Students will get a conducive learning environment so as to imbibe knowledge and mannerism to become worthy citizens of the country. Welcome to Seth M. R. Jaipuria School, Faizabad! Jaipuria is led by doyens of exceptional vision who have always remained concerned about developing next generation thought leaders. The commitment of the House of Jaipuria to providing superior quality education has only deepened and grown over the last seven decades, developing leaders who have proved their mettle in all walks of life. A true leader is a liberated thinker. The process of liberation begins when you start to think for yourself. When you think you learn and you imbibe new thoughts and perspectives. This in turn helps you innovate and think out of the box. When you can think differently, you can make choices and decisions that are unconventional. These unconventional choices and decisions are what will set you apart from the crowd and establish you as a leader rather than the led. Education is not merely the acquiring of a degree; it is an enduring process that should have an effect on your thoughts and actions, even after you graduate. Your education can become a leadership training exercise only when you are an active participant in the process of opening your mind to knowledge, experiences and ideas. We are very glad to bring to Faizabad a champion of educational excellence. 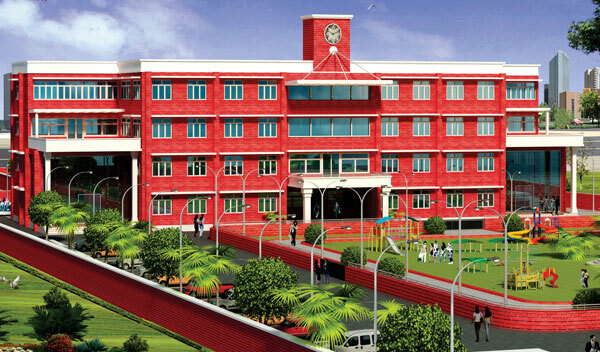 We present to you Seth M. R. Jaipuria School, Faizabad, where, we put the student at the heart of the educational process. A student’s tenure at Jaipuria will be marked by a number of academic and non academic opportunities, each of which will help the student develop into a successful individuals, true leaders and above all good human beings. From inclass sessions to field trips to experiential learning to festivals and events, every day at Jaipuria is a day our students learn and develop. A world of learning and a plethora of experiences await you within our school. Welcome to Seth M. R. Jaipuria School, Faizabad! Welcome to your future. In the time that students spend with us, they will be challenged by a number of perspectives and ways of thinking. From teachers to their classmates, everyone comes with a different socio cultural and experiential background. This meeting ground of thoughts, opinions and ideas will open students’ minds to realities other than their own, break existing mind sets and give a varied perspective on life which will help grow into a successful leader. We appreciate your determination to lead rather than be led. We are here to facilitate your transformation from student to business leader of tomorrow. 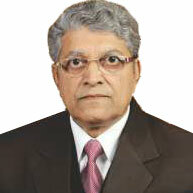 Jaipuria Group have been nurturing successful leaders since the last seven decades. We are confident that Faizabad shall be a glorious addition to the magnificence of the Jaipuria saga!